Entertainment & development everywhere you go. 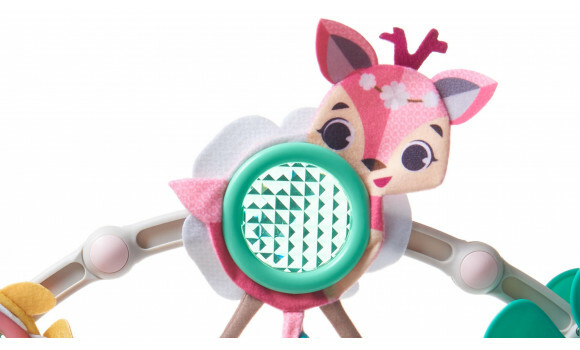 Especially designed for baby girls! 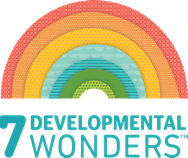 6 uniquely designed fun and engaging activities that inspire natural learning on the go while promoting fine motor skills and cognition - and all right at baby’s fingertips! 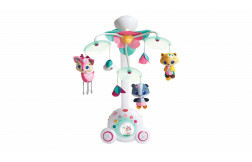 Designed for two stages of baby’s essential development. 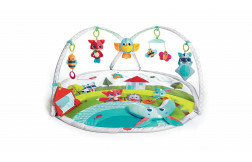 For the first 5 months, baby bats at the toys, boosting sensory exploration; at 5+ months, baby begins pulling and holding, exploring the arch in a more sophisticated way. 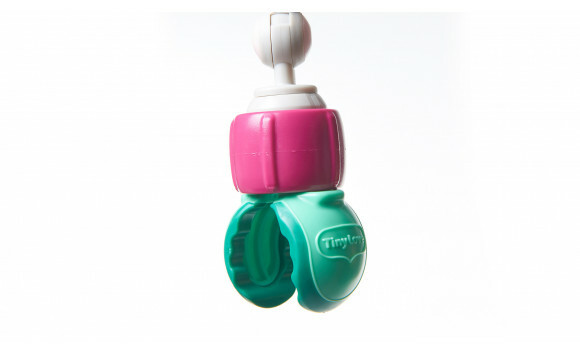 Universal attachnment clips fit most stollers and flexible arch bends forwards, backwards, up and down, adjusting the toy according to baby's age and playing preferences. During the first three months, babies need visual stimulation to help them learn to focus their gaze. The stimuli should be placed at an optimal distance (8-12 inches) and should include some movement. 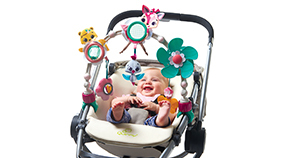 Angle the arch to the appropriate distance and let baby enjoy some visual exploration. As babies grow, the will trying batting the toys and reaching out to the features. 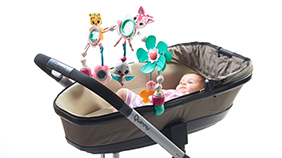 Adjust the arch's distance and let your baby takes the first attempts at playing with the arch's numerous activities. 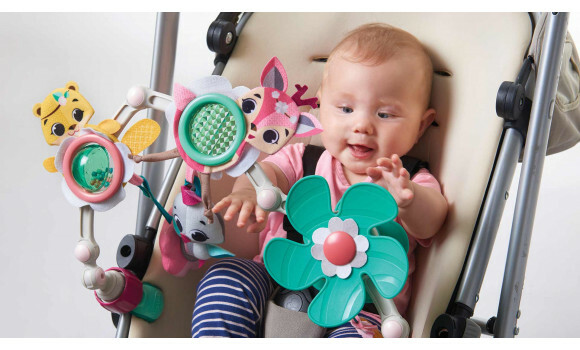 At this stage, babies' developing hand-eye coordination allows them to reach out to the toys confidently, hold them and pull them to their mouth for further exploration. 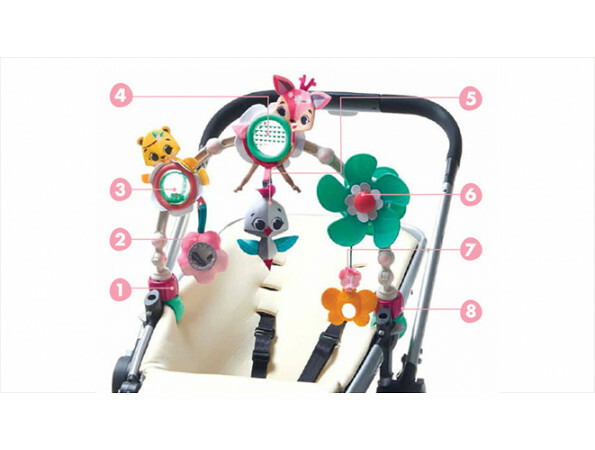 The arch supports the development of motor skills, helps baby learn about cause and effect with the fun propeller activity, and stimulates the senses with rattling and crinkly elements. 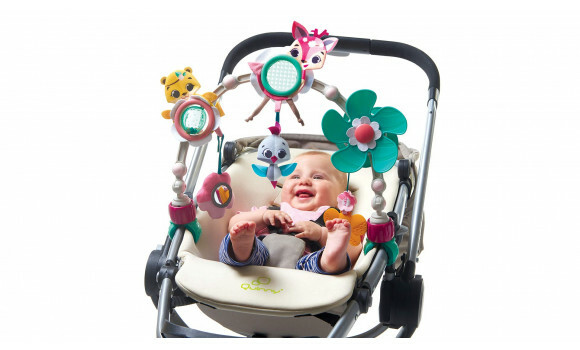 The smiling characters, crinkly textures, rattling sounds and other features stimulate baby’s sense of sight, sound and touch. Your baby bats at the dangling toys, learning all about the wonders of cause and effect. Later, baby will learn to pull the propeller and roll the rattling ball to deepen this understanding.